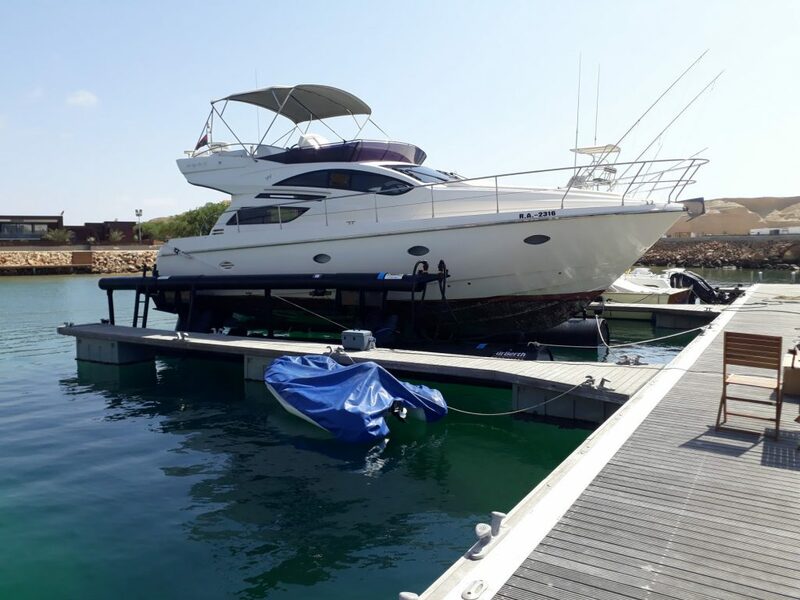 In what was a challenging installation, Daniel Chippendale and Mike Wade from Boating World, our distributors for Southern Africa, delivered and installed the first M1500 in Angola for a Rodman Muse 44, with IPS drives. 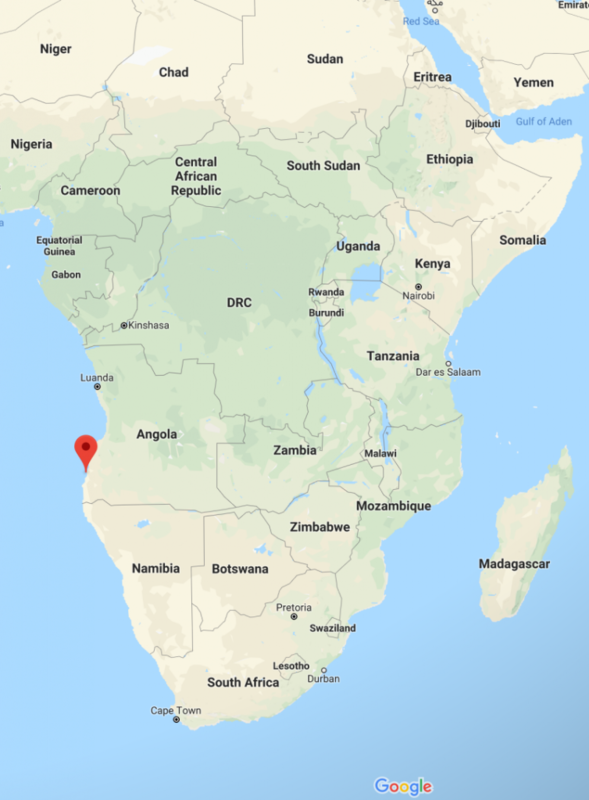 Our journey begins in Namibe, Angola, roughly 2,800kms north of Capetown, South Africa. 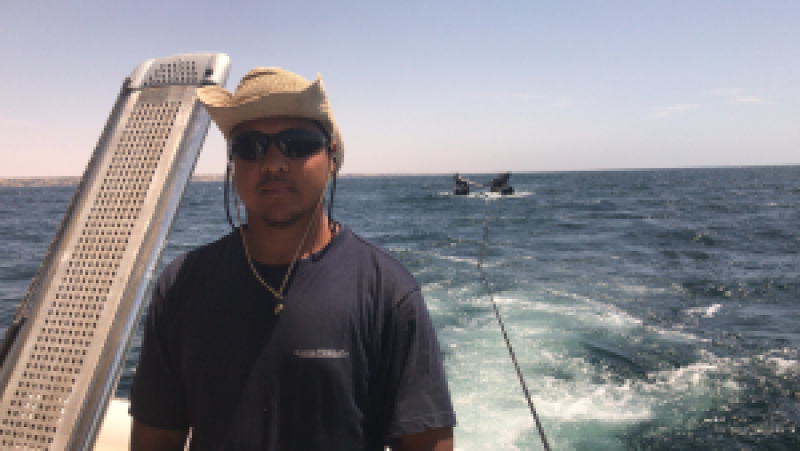 Mike and Daniel arrived at an old slipway which was previously used by the Angolan Fishing Fleet and more recently as a loading port for the local mining companies. M1500 being loaded onto a Cradle ready for Slipping into the water. 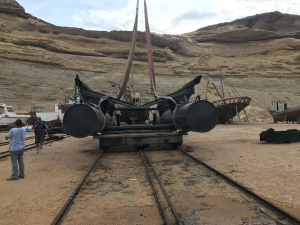 It was a challenging build, we Built the AirBerth in an Old Abandoned Boat yard, on the Edge of the desert where the water Meets the Sand. 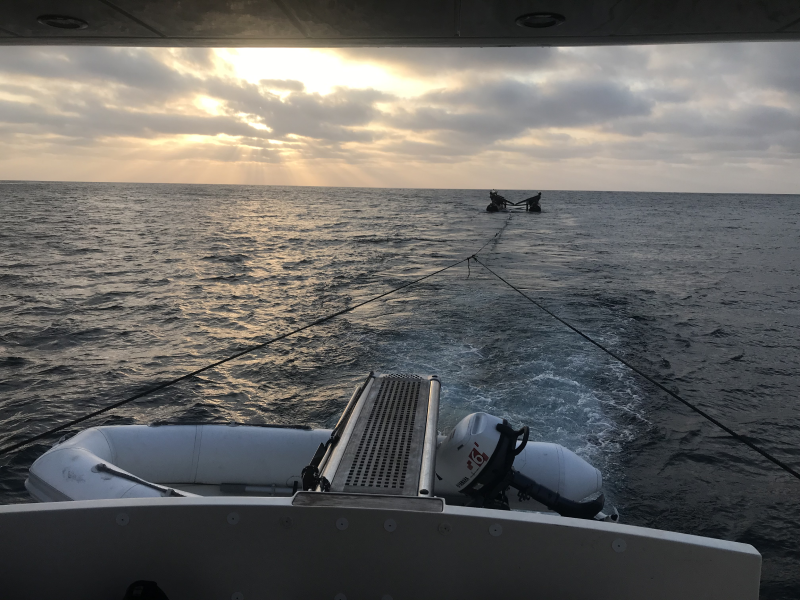 “We splashed the AirBerth® M1500 using the cradle and towed the Airberth to Baba using the Rodman Muse 44 for the AirBerth tow. 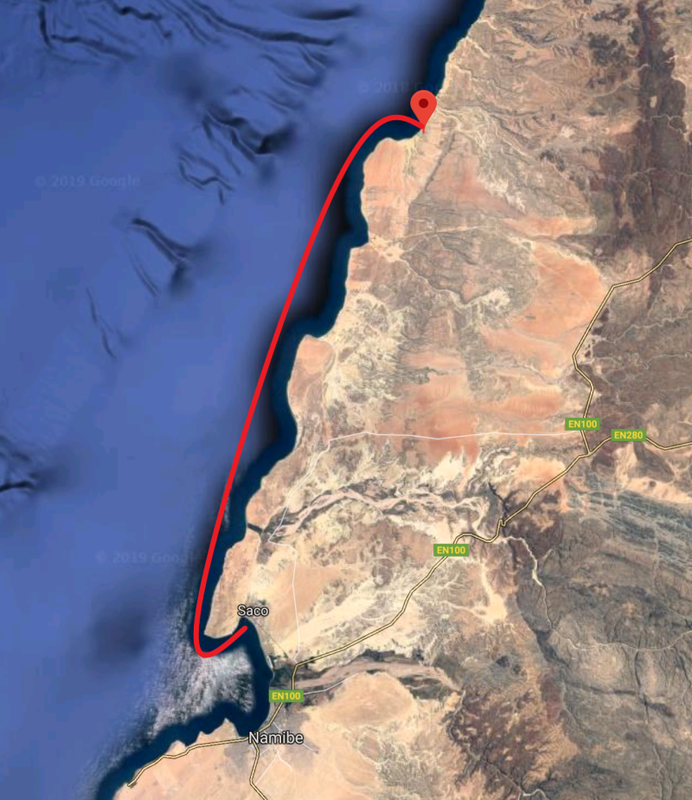 8hr Tow from Namibe to Baba. Image courtesy of Googlemaps. IPS Drives raised clear of the water. “We did final adjustments and final training with the skipper. 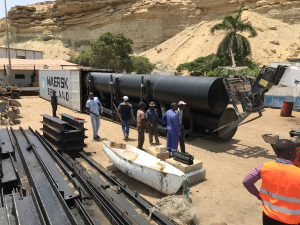 M1500-Rodman Muse 44-Namibe, Angola raised out of the water. 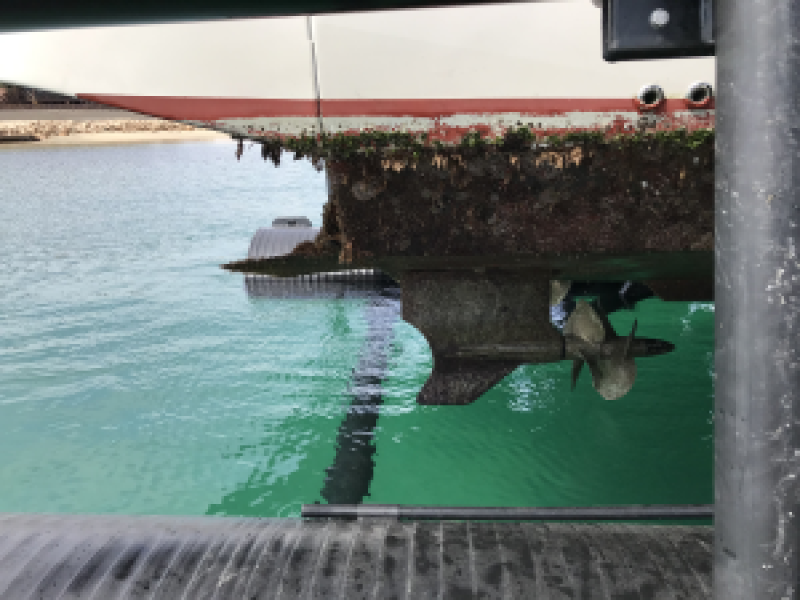 Raising the boat out of the water, will save on maintenance costs Antifouling and replacement of anodes and propellers due to damage from Electrolysis. In addition, slipping the boat would take about a month including the three day voyage to Luanda and the 3 days to return to Baba, via boat. Now the boat is ready to launch at the owner’s convenience. “Thank you to you and AirBerth® for all you support on this build.